Modish & Swank Clothing Co. – The high end couture of today’s fashion. Modish & Swank was birthed out of a passion for loving to be original and wanting to express my love for clothing in the way that allowed me to merge all the amazing things I love into fashion. I love to be different in the way I dressed and never want to wear the same pieces I saw in multiple stores. I have a love for the vintage timeless era and the essence of truly beautiful fabric. I am romanced by the 50’s and 60’s era because of the love for fabric they had in this time and I feel empowered by the freedom to design couture pieces. I want to take us back to a time where fabric meets design and leaves you speechless!! Modish and Swank cares about everyone’s love for clothes. You will feel taken back in time with inspiration of vintage style from the 60’s, merged with the classic simplicity of fashion and the excitement of high end couture. by Modish & Swank Clothing Co.
People think the fashion industry is glamorous, but that’s hardly the case, local designer Keisha Woods said. 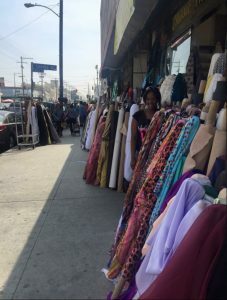 After watching the documentary, True Cost, the designer of Modish & Swank Clothing Company realized the value of shopping conscientiously and making more educated decisions when choosing her clothing. Woods said she will not shop at certain companies because of their links to forced labor and disregard for appalling work conditions. Keisha Woods Fashion Choice Article Photo 1 | Modish & Swank Clothing Co.
Keisha Woods, Modish & Swank Clothing Company designer, uses a sewing machine and measuring tape when sewing her handmade garments. 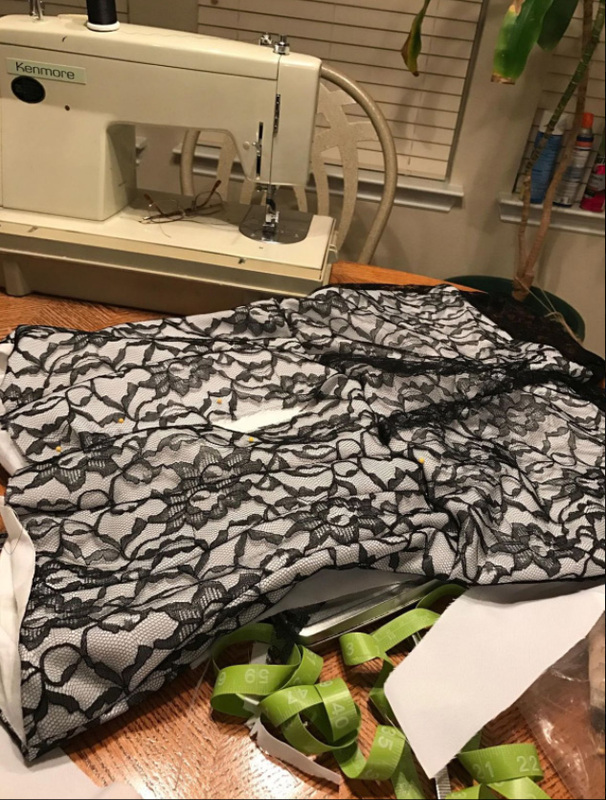 The lace romper is the first garment she has made for her upcoming collection. Keisha Woods Fashion Choice Article Photo 2 | Modish & Swank Clothing Co.
Keisha Woods, Modish & Swank Clothing Company designer, stands among fabrics in the design district in Los Angeles, California, while researching to understand what makes for a good fabric. She said it was a very eye-opening experience to learn about and see good fabrics compared to fabrics that are harmful.